Paper size: 29 x 40 cm. 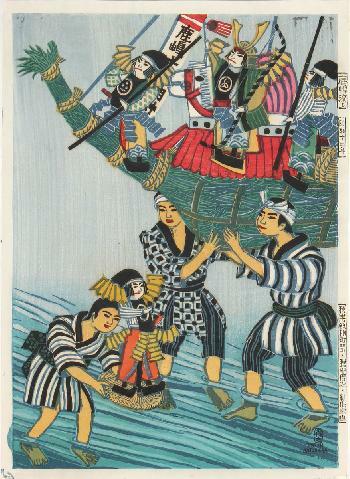 Self-carved and self-printed in 1935 (Showa 13). Print information in the right margin. Another copy in the National Museum of Modern Art Tokyo. Fine impression, colours and condition: in mint condition, highly exceptional for works by this artist, who regularly sold his prints in acid folders, with predictable results.